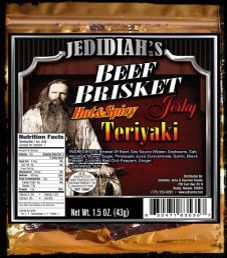 Note: For a more recent, live taste review, open Jedidiah’s – Hot & Spicy Teriyaki Beef Jerky (Recipe #2). 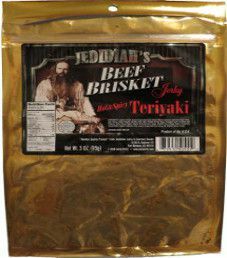 Back in 2012, I made an online purchase of Jedidiah’s beef jerky. This review will focus on a 3 ounce/ 85 gram bag of their hot & spicy teriyaki flavor.